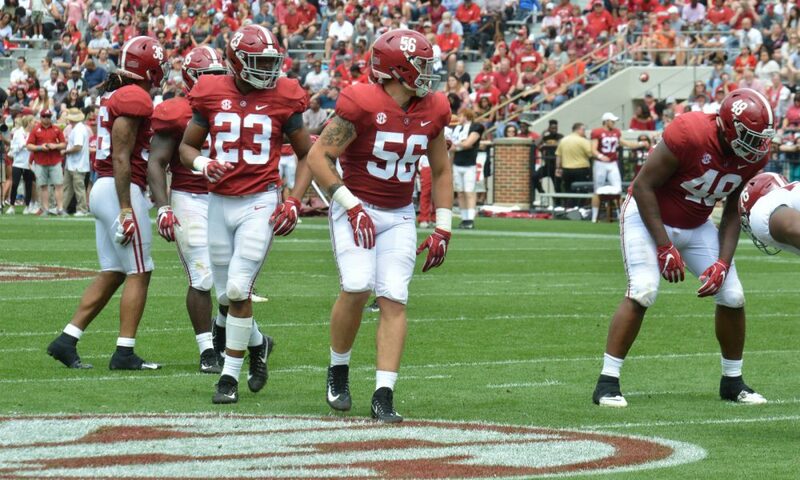 The top-ranked Alabama Crimson Tide jumped the biggest remaining hurdle in their effort to complete a perfect regular season with a 29-0 road win Saturday over the No. 3 LSU Tigers at Tiger Stadium in Baton Rouge, Louisiana. Heisman Trophy favorite Tua Tagovailoa continued to build his resume with three touchdowns (two passing and one rushing). He also helped Bama (9-0, 6-0) clinch the SEC West division title and an appearance in the 2018 SEC Championship Game against the Georgia Bulldogs. Meanwhile, LSU (7-2, 4-2) likely had its College Football Playoff chances fall by the wayside in Week 10. Tagovailoa was already leading the Heisman chase entering Saturday's marquee clash (-275 favorite, per OddsShark), and his performance against the Tigers further solidified that status. The sophomore quarterback completed 25 of his 42 attempts for 295 yards and two scores through the air. He added 49 rushing yards on three carries, including a 44-yard touchdown run. The only downside was that he threw his first interception of the season. He put up those numbers while facing the nation's seventh-ranked scoring defense on the road. It's reached a point where it's getting easy to take his outstanding season for granted. His resume is so strong that he could even afford one poor outing down the stretch of the regular season and likely still hold on to win college football's top individual honor. That's the gap he's created between himself, Oklahoma Sooners quarterback Kyler Murray and the rest of the field. Tagovailoa has been nearly flawless throughout the campaign, so there's no reason to believe he'll have a clunker over the final three games. It would be a shock if he's not the one accepting the Heisman Trophy in New York City next month. 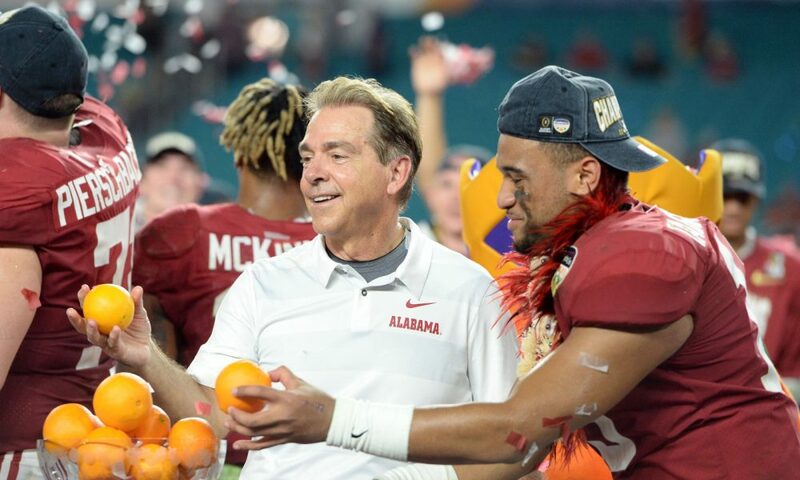 Tagovailoa receives most of the Tide hype, and that's no surprise given his stats, but Saturday showed the Bama defense is still the foundation of its quest for an undefeated season. The Alabama offense didn't come roaring out of the gates like it usually does—the score was 6-0 at the midway point of the second quarter—and it was the defensive side of the ball stepping up to make sure the No. 1 team in the country maintained the lead. LSU finished the contest with 196 total yards—including just 67 in the first—and 13 first downs. 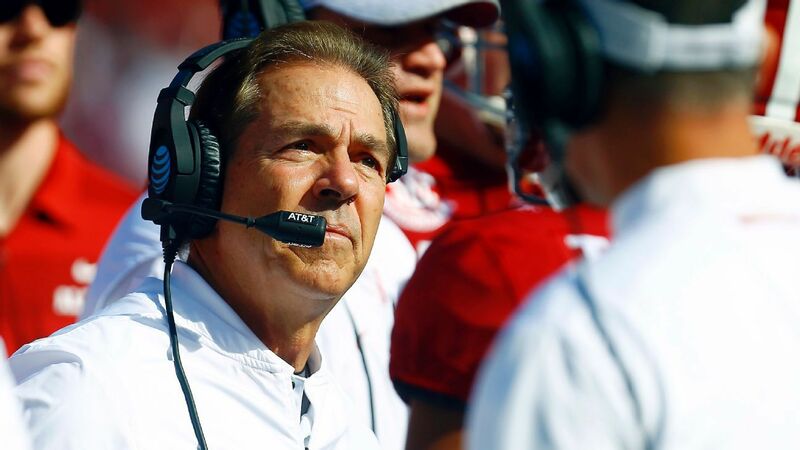 Alabama's defense hasn't ranked quite as high statistically this season. It entered Saturday's game 16th in yards allowed per game after finishing first or second in that category each of the last three years. A lot of that has do to with the success of the offense, which is creating more possessions with quick scores. The unit's performance against the Tigers showed there's nothing to worry about defensively. Beating Alabama is an uphill challenge from the opening whistle. Trying to do it without great play from your quarterback is virtually impossible. LSU, which is no stranger to that conundrum, once again learned the lesson the hard way Saturday, as Burrow failed to find any consistent success against the Tide secondary. The junior signal-caller connected on just 18 of his 35 throws for 184 yards with no touchdowns and one interception. "Let's see if LSU can find some offense" Things we've been saying since 2003. It was evident Alabama didn't fear the Tigers' passing game, either. The reigning national champions stacked the box to stop the run, which was a successful strategy. LSU had negative rushing yards through three quarters and finished with 12 for the game. Burrow couldn't come up with the necessary big plays to keep the game close, and the Tide slowly but surely pulled away for another lopsided victory. Burrow limited the Tigers' offensive potential in their biggest game of the regular season, and that will likely remain the case until the 2018 campaign comes to a close. Alabama will return home to Bryant-Denny Stadium for its final three games of the regular season, starting next Saturday against the Mississippi State Bulldogs. LSU is also back on the field next Saturday when it visits the Arkansas Razorbacks.